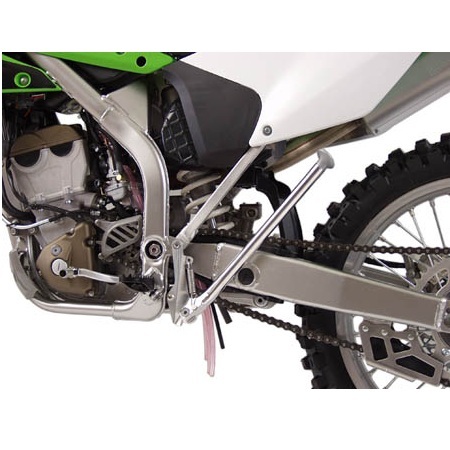 Custom designed side stands for both Enduro and MX style motorcycles. Ultra-high strength chromoly mounting bracket bolts directly to bike frame. Precision side stand made from light-weight, high-strength forged aluminum. Coated with extra tough black ceramic. Aluminum reinforced high impact nylon foot at base of stand. Custom designed for exact model fit. Installs in 10 minutes with no modifications required. Go ahead - stand on the bike and kick it. Trail Tech kickstands are guaranteed to hold up to the riders weight. Tucks out of the way of the rider.